Charming Four BR, One BA is a 10 minute walk from the ME Metra Electric at the State St. stop. This apartment is in the West Pullman neighborhood in Chicago. Nearby parks include Kensington Park, West Pullman Park and Kiwanis Field. Charming Four BR, One BA has a Walk Score of 62 out of 100. This location is Somewhat Walkable so some errands can be accomplished on foot. 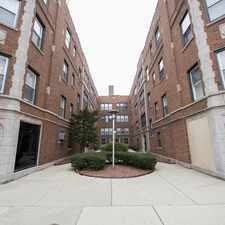 3 bedroom/ 1 bathroom for immediate occupancy in Roseland/West Pullman area. 20 minute drive to downtown, 1 block away from #119 bus stop, 5 minute away from metra/ metra park & ride, 2 minute walk from all things retail (clothing, grocery, furniture, etc.)! Check out our listings and schedule a showing today. If you have any questions, don't hesitate to contact us! Explore how far you can travel by car, bus, bike and foot from Charming Four BR, One BA. Charming Four BR, One BA has good transit which means many nearby public transportation options. 11827 S La Salle St compared to all of Chicago. How do you feel walking near 11827 S La Salle St? Beautiful, Newly Remodeled, 3 bed/2 bath, single family home with a Large Yard. Charming Four BR, One BA is in the West Pullman neighborhood. West Pullman is the 118th most walkable neighborhood in Chicago with a neighborhood Walk Score of 54.